Stellar Blue is excited to announce the recent launch a new custom website for Northeastern Wisconsin Area Health Education Center (NEWAHEC). Based in Manitowoc, Wis., NEWAHEC is a community-based, not-for-profit that strives to create a better avenue for young people to acquire health care education and community diversity of health care providers in northeast Wisconsin. 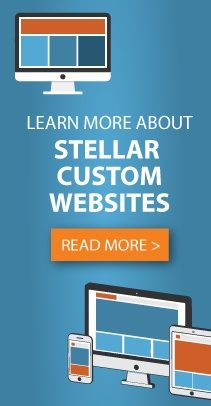 Stellar Blue has worked on other projects with NEWAHEC but this is the first website Stellar Blue has created for them. Upon first arrival to the homepage, users will find the website easy to use and navigate. At the top of the page is an interactive, drop-down navigation bar that leads users to the pages containing the information they seek pertaining to NEWAHEC. The navigation bar includes pages on organization history and mission statement, staff, programs, partners, community and resources. In the top, right corner of the homepage is an icon that leads users to the NEWAHEC Facebook page so website visitors may check out the social presence of the organization. Located on the primary hero image of the homepage is a link to more information on the culture and mission of NEWAHEC. Next, visitors will find three interactive icons. These icons lead to pages on detailed information on how to get involved, the type of work they do and who they partner with in the community. Finally, users will find a contact form that they may submit to acquire they information they are looking for. The custom website for NEWAHEC comes with a WordPress integration that includes functionality allowing for fast and easy content updates. Also built into the website is a blog with relative news and notifications for users to read into. The contact form included lets visitors personalize their experience and receive the information they seek regarding NEWAHEC. The final feature to touch on is the Member 365 Linking. Because NEWAHEC uses this feature for membership services, the custom website is linked to all of NEWAHEC’s services to simplify navigation.